Rossen Petrov was born on 24-th of July, 1970 in Sofia. Rosen is a former chief scriptwriter of the TV show "Slavi's Show" and only (after the departure of Lyuben Dilov-son in 2003) Slavi Trifonov member of the "Seven-Eight Productions", the Production Company creating "Slavi's Show," "Vote of confidence", "Fife Stars" (5 Stars), "Survivor BG", "Music Idol" and others. He was a writer and television broadcasts of "Ku-Ku" and "Hyshove". In October 2008 Rosen Petrov creates production company Media Time. 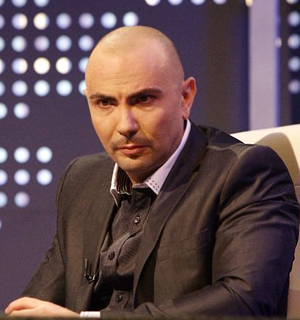 On February 7, 2009 broadcasts the first episode of the 12 historic series patriotic talk-show "Operation Glory", dedicated to 100 anniversary of the Independence of Bulgaria.